They came in fast. They charged in furious. They delivered in precision. And they never stopped coming. We fell in a heap. The story repeated. The fall continued. Again and again. The pace battery of Australia assumed the proportions of a battering ram and the battering continued unabated. Until The God fell from his pedestal and was brought down to earth. Until the wall cracked and crumbled. Until the legends lost their greatness and fell from glory. The big guns were silenced. And Indian cricket lay in tatters. Another series whitewash. The fall from grace that started in England was completed with another similar script in Australia. From the first innings of the first test to the last innings of the last test, the Indian story was the just the same. Repetitive and boring. The story scripted by Clarke & Co. failed to generate thrills because the storyline seemed too predictable. Four venues. Four matches. Four failures. Same players. Same story copied and pasted. Only the duration changed. Billed as the Agneepath series, with India considered the favourites and Australia the underdogs, Clarke & Co. made sure that the Indians faced the heat rather than them. At the beginning of the series, there was a talk that the Australian camp had a few problems in the batting department. Irregular openers, an out of form middle-order and a captain fighting to gain the respect of his team. Whereas India was a team which had the two greatest run scorers of all times, an opener who could end the game before it all actually began, a very special batsman who took a special liking to Australian bowling and a captain considered to be the shrewdest of cricketing brains around. 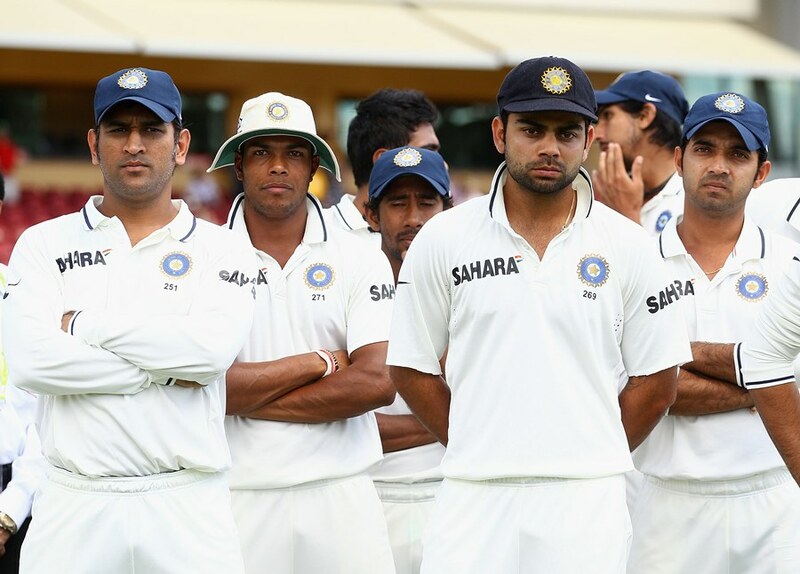 The four tests that followed resulted in busting many myths about the various sentiments about some India’s all time greats. More than the defeats the manner in which it was brought upon them was saddening. In all the series that preceded this, even though the series was lost, the Indian team always put up a tough fight and it was remembered for the valiant effort than the defeat. And at times they were brilliant enough to turn the tables on the invincible team of the times and that is what made these men legends. So when the first test ended in four days, there was still hope that they would put up a fight in the next. But that turned out to be a bigger shocker when it ended in four days again with the Indian team refusing to put up a fight. The third one was the most humiliating when they could not fight for more than two and a half days. Australia should have invited Bangladesh rather. They would have done better. Retirement calls started for the ageing brigade. But though not valiant enough on the field, they shamelessly fought on off it. When the young guns continued their wait for ever to be blooded, the greats continued to hold on to selfish motives. Little did they realize that other legends before them had moved on to bring them in. Little did these guys seem to care about a series white wash. The hope was that the billions back home would be pacified with that one ton even if they went down 4-0. After three failures, luck had it that the captain was banned. A new captain and a new keeper could change the fortunes of the team. Expectations were that the maverick Sehwag would surprise with his unorthodox ways. Since the series was lost after trying the same tricks in the first three tests, the fourth one could have been taken up for experimentation. Two spinners could have been brought forth. May be Ojha could have replaced Ishant. Kohli could have been sent to open the innings or brought in at no.3. A new opener like Rohit could have replaced Gambhir. Sehwag could have come lower down the order. But it was not to be. He stuck to the conservative and traditional thinking of the think tank. Same field placings. Same mistakes. Same body language. Batting collapse. Some catches dropped. Another record for the Clarke-Ponting pair. The agony continued. Retirement calls grew louder. The experts analyzed that the Indian greats have outlived their sell by date and could not survive in the swinging conditions in England. And the pacy pitches in Australia. Come Adelaide. It was a batting beauty. A much better batting display was expected from India. Australia’s 600 runs in the first innings gave the Indians the much needed hope. But then Siddle’s riddle caught them unawares. He made the batting pitch look like a lively track. The way he bowled, the Indian’s had no answers again. This test would also have ended in four days had it not been for Clarke’s concern that India could bat them out of the game. But he failed to understand that the Indian cricketers were spineless and had lost all interest for a fight after all the battering they received. Clarke tried to show some sympathy to the Indian batsmen by withdrawing his quick guns and giving them an opportunity to play a game they are experts in. May be the Australians were concerned about the dipping revenues as the first three tests did not last five days. But Lyon proved to be trickier than they expected. The web was spun and the plot only got murkier. He accounted for Sehwag, Sachin and Laxman all great players of spin bowling. And to add insult to injury, Clarke then put all his fielders around the night watchman! Such was the state of the famed Indian batting. Virat Kohli’s performance was the only blessing that India had. He fought well and used his chances to declare that he is India’s batting mainstay in the future. 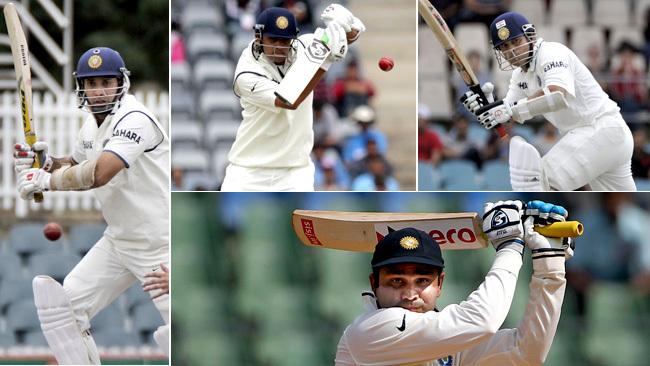 Ravichandran Ashwin and Umesh also proved that they have it in them to excel in the big stage. Saha too has shown that he is a fighter. They need to cement their places through consistent performance and constant improvements. There are many more spinners, pacers and batsmen waiting in the ranks to grab their opportunities which are sadly not coming by. They will have to bide their time till the big guns call it a day. Or they will have to keep waiting till the selectors realise that the future of Indian cricket lies not in record holders whose glorious days are past but in youngsters who can bring back those glorious days for the country.